Hello, Aoife. Congratulations on the publication of your second novel earlier this year. How’s it going in terms of readers’ feedback, reviews, overseas sales? Thanks. It’s been really enjoyable having Second Sight out in the world. One of the lovely things is that readers have been getting in touch with me through social media etc to talk about the book or coming along to events. 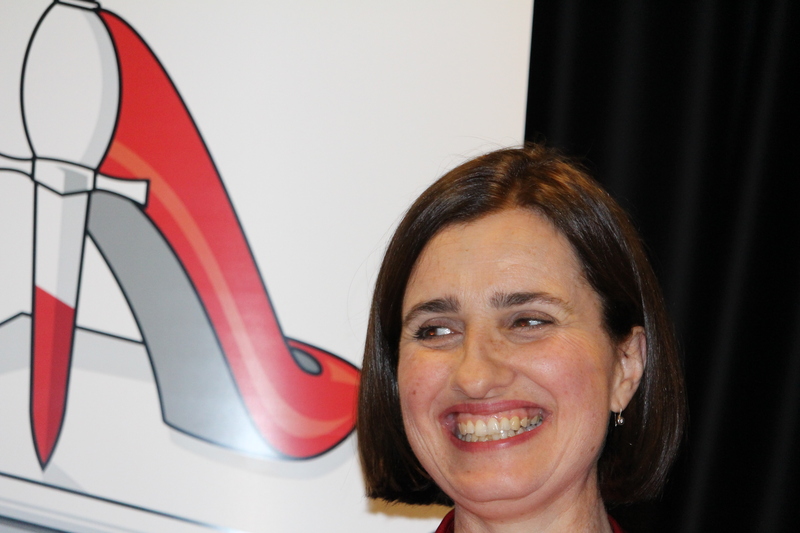 This time I had two launches – one in Melbourne at the bookshop I work at and the other organised by a bookshop in my hometown of Bathurst in NSW. My Grade 2 teacher, who had taught not just me but all four of my siblings, came along. That made it pretty special. In relation to overseas, I’m just finishing off the US edit now. 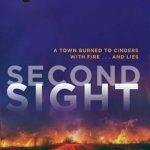 Second Sight will be out in the UK next January and then the U.S. in hardback in July. The purple and flame-coloured cover is strong, I think. Any comments? There are often strong trends in book covers but I think the purple is distinctive; so if you see a rash of purple covers, you saw it here first! Actually, my favourite part is the bird flying high above and the US version has an even bigger black cockatoo on it (everything’s big in America!). In your opening chapters you set up quite a few storylines. If I list some keywords, will you give potential readers a few hints about what is ahead? I was interested in discussing the long tail of trauma so exploring the aftermath of a bushfire was perfect for that. I grew up in sight of the Blue Mountains in NSW, was in Melbourne during Black Saturday and our family home was burnt down 13 years ago, so fire is something I’ve thought about a lot. In contrast to the long trail of trauma, I opened the novel with an event that takes the blink of an eye – the start of something. So as our protagonist, Eliza, is driving into town she witnesses an act of violence, a king hit, which changes the town and her life. The green hat is something the victim was wearing, and what we leave behind when we die – both tangible and intangible – is another concern of the book. I wanted to explore the effect of tragedy on a tight-knit group and there is nothing closer than family. At the start of the novel, Eliza is almost estranged from her father and sister, without really understanding why. Part of exploring trauma is acknowledging that people cope with it differently. Some people are actually energised by tragedy – it makes them want to seize every moment. Janey is one of those human dynamos and she’s decided she wants to be the first female Mayor of Kinsale. She’d be a great Mayor. There are three places we visit twice, twenty years apart – the beach, the pub and a grand old country manor nicknamed The Castle. Not only are they evocative settings, but also they are a proxy for the different responses to the trauma the town has suffered. The sea is unchanged by events, Janey’s pub is renovated and booming, but the poor Castle is badly damaged and about to be demolished. I really love books where a settled ‘truth’ is challenged and the characters realise that everything that has been assumed is wrong. The story of what happened to Grace, Eliza’s best friend, is at the heart of this novel and the first inkling that all is not as she assumed is when Eliza discovers her father still has the police file about Grace in his car even though Grace ran away 20 years before. In chapter three you shift back 20 years to 1996, describing events from the point of view of your protagonist’s friend, Amy. Did you always intend to use shifts in time and POV? Yes, I love novels where structure is an important part of the book. The six chapters set in 1996 are designed as a puzzle. Only when you have read all of them will you know what happened on that night but at times I give the reader a big head start on the protagonist so the question is will the reader get to the answer before she does. As your setting is a town, families know each other across generations and activities are interconnected. Your storylines intertwine, and you add complications. Was this tricky to plot? Fun to write? My books are always tricky to plot but I do so enjoy writing them. I loved seeing characters change (or not) across the time span. I especially enjoyed exploring characters on the cusp of adulthood and then revisiting them twenty years later to see how they turned out. It was also enjoyable to see the impact of family relationships. Eliza is as influenced by her father, Mick, as Tony is influenced by his mother, Janey. And how about devising the developments set in the city lawyers’ offices? Here decisions turn on more subtle game-playing, or do they? The game-playing is more subtle but just as ruthless. The expectation is that law firms should follow rules such as procedural fairness and natural justice, that lawyers and the legal system expect everyone else to follow. That is a standard they don’t always meet. The city is also where your protagonist meets her love interest. Any comments? Their first encounter is in the city, a chance encounter that could have so easily not happened. Every cloud has a silver lining. A forensic anthropologist features in your narrative. Can you say a little about this? I needed to talk to a forensic anthropologist because part of my story concerns discovered bones. 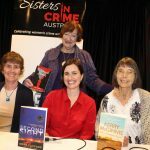 Carmel Shute from Sisters in Crime put me in touch with Dr Soren Blau from Victorian Institute of Forensic Medicine, who was fantastic. Soren was so generous with her time and expertise that I added a forensic anthropologist into the novel in her honour! Finally, Aoife, are there other aspects of Second Sight you’d like to mention? Only to say thanks for such a forensic and insightful Q & A Robyn, I really enjoyed it!